Every organization is different and there is no single way of approaching this task – this is just an example – but hopefully a useful one from which you can glean some useful insights and ideas to apply to a real world scenario. The first stage in developing a business case for e-invoicing is to develop and articulate the scope and approach to be adopted. What is the scope of the proposed project in terms of suppliers? What is the geographical scope? Is the intention to fully automate the AP process or is is merely to eliminate paper? How quickly will the project’s objectives be met and what technology solutions will be used? In this example we are adopting a general approach that could be adapted for many sets of circumstances – the hybrid approach that uses a mixture of scanned paper and pure electronic invoicing. In recent years there has been two main approaches to e-invoicing. The pure electronic invoice approach is similar in many respect to traditional EDI. An electronic message in a pre-agreed format is transmitted from supplier to buyer. The alternative approach is to merely email an image of an invoice. This ticks the electronic invoice box but in a very superficial way and more often than not, manual process are required to perform a match with a P.O. In recent years however, OCR technology has moved on considerably and it is now possible to intelligently extract data from an invoice image. This gives the invoice image a similar status to the electronic message in terms of its ability to facilitate an automated accounts payable process. 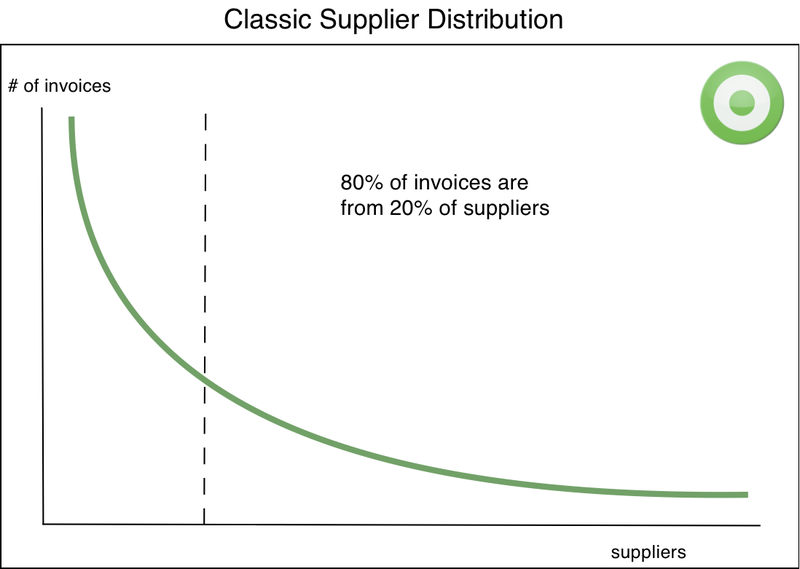 The classical assumption is that 80% of invoices are from 20% of suppliers. Where this is the case, a single solution such as a pure e-invoicing approach can achieve significant results with a moderate amount of effort. 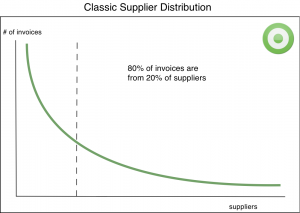 Only 20% of supplier need to be on-boarded to eliminate 80% of invoices. This isn’t always the case though. 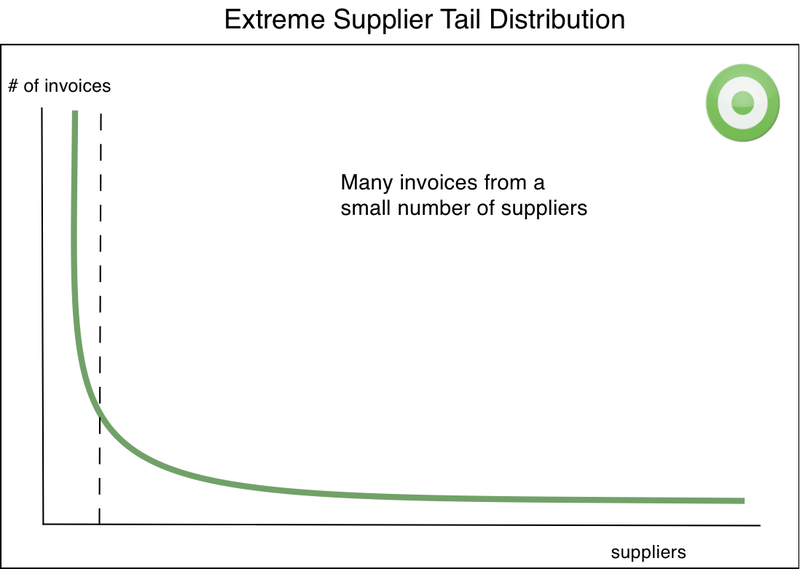 In some organizations, a very large proportion of invoices come from a very small number of suppliers. In this case, it may be appropriate and cost effective to work directly with those suppliers to build a bespoke electronic invoicing solution but then a very large supplier “tail” is left. Persuading many relative small suppliers to adopt a pure e-invoicing solution – often at cost to themselves – could be a daunting challenge. If all, or most, suppliers are in one country – or more importantly within a single taxation jurisdiction – supplier adoption can be straight forward. Everyone is working to the same set of rules and everybody speaks the same language. Contrast this with a widely distributed supplier base sending invoices from and to many different countries. The regulations relating to electronic invoicing can vary considerably. Local regulations and customs may not suit an approach favored elsewhere. There are different interpretations of security and authenticity of electronic messages. In such a situation it may be unwise to attempt a single approach. 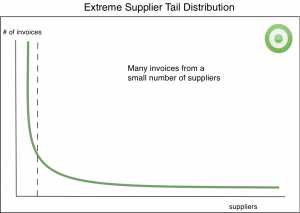 So, for the general, most complex case, a global e-invoicing programme spread across many countries with an extreme supplier tail a single approach is unlikely to be the best and a hybrid solution provides a single global operating model that ensures that local business requirements are met. 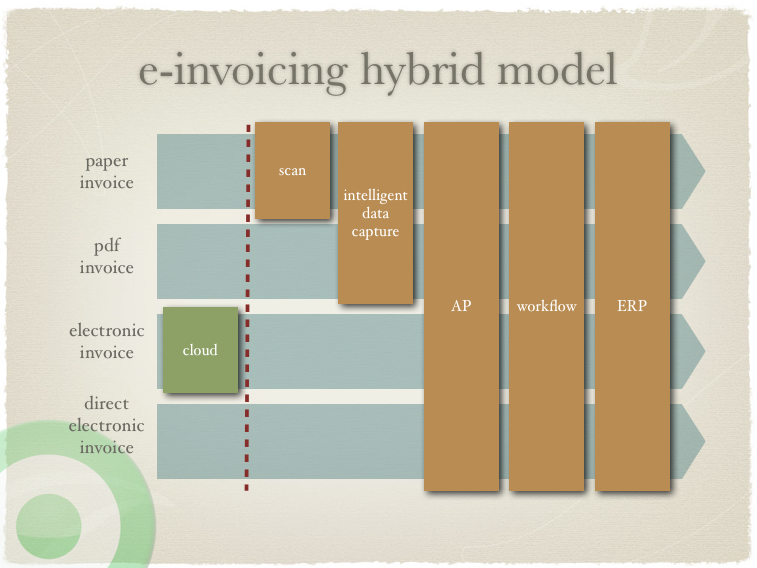 The hybrid approach to the implementation of electronic invoicing recognises that a mixture of scanning, intelligent data capture combined with pure electronic invoices either via a supplier network, the cloud or a direct point to point relationship allows even a complex geographically diverse organisation to eliminate inefficient paper processes. In the next piece in this series, we will look at the evolution of this model over time, where the efficiencies can be captured.